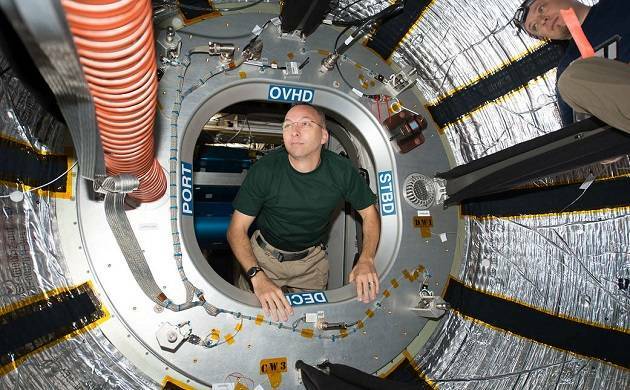 The International Space Station is home to at least 12,554 varieties of microbial organisms. The International Space Station (ISS) has a distinct and varied amount of microbial groups that more or less resemble those found at homes on the Earth. This point was concluded in the research called Project MERCCURI which analysed the microbial growth in 15 locations on the ISS and compared it to those found in the homes on Earth. The study is titled “A microbial survey of the International Space Station” and is published in PeerJ, a peer-reviewed open access journal. David Coil, a microbiologist at the University of California, said, "so 'is it gross?' and 'will you see microbes from space ?' are probably the two most common questions we get about this work." He added, “as to the first, we are completely surrounded by mostly harmless microbes on Earth, and we see a broadly similar microbial community on the ISS. So it is probably no more or less gross than your living room." "Since the ISS is completely enclosed, the microbes inside the station come from the people on the ISS and the supplies sent to them," he said. The ISS is home to at least 12,554 varieties of microbial organisms. Project MERCCURI is an association between UC Davis and other organisations, including Science Cheerleader, a group of current and former professional cheerleaders pursuing careers in science and math.